JARS - Johnston County Amateur Radio Society, Inc. The JARS community lost one of its dearest and most well liked Amateur Radio Operators on September 24, 2010. More importantly, a family lost a dear husband, father, and grandfather and many others lost a jovial and caring friend. Below are his obituary and links concerning his accident. God Speed & 73's Byron. Byron Lee King, 53, a retired employee of AT&T died Friday. A native of Wake County, he was the son of the late C.C. and Avenelle Harrison King. Funeral services will be 2:00 pm Monday at the First Baptist Church of Garner. Burial, Montlawn Memorial Park. Surviving are his wife, Emily Jones King; daughters, Ashley Christina King of Raleigh and Brittany Megan King-Barnes and husband, Joshua Clayton Barnes of Raleigh; brothers, Fred King and wife, Phyllis and Bobby King and wife, Jennette all of Raleigh; grandchildren, Connor Lee King, Aven Isabel Barnes and another grandchild on the way. Visitation will be 7:00-9:00 pm Sunday at Bryan-Lee Funeral Home, Garner. 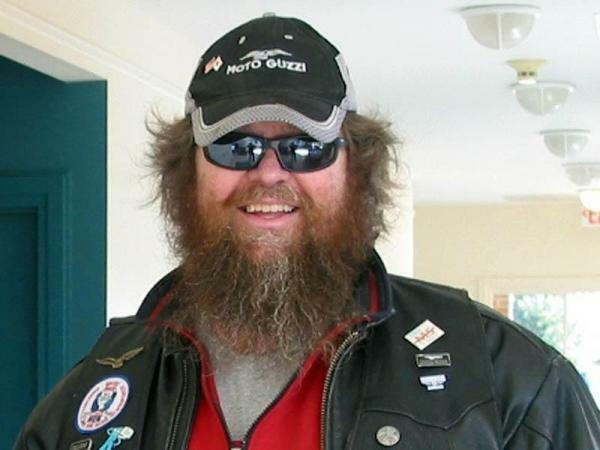 Memorial contributions may be made to The Concerned Bikers Association, in memory of Byron King, P.O. Box 28082, Raleigh, NC, 27611 or to the American Red Cross, 100 N. Peartree Lane, Raleigh, NC 27610. Congratulations Stephen Fowler"KJ4QNW" on being the current Lid of the Month.